Originally titled Christmas Tree Farm. A woman travels to her Vermont hometown to save her family’s Christmas tree farm from foreclosure. It’s a great movie. It would be nice if it would be put on a dvd for all regions to have. I would love to buy it in Canada. You can’t watch region 4 in Canada. It will air on UpTV network on Nov. 30th!! (I found this info on its IMDB page). This movie sounds like a lot of fun to watch for all ages. The cast looks fantastic! My family loves the Christmas holiday season and we’ll be watching this movie for sure. It looks especially cute. Tis the season! Oh, this one sounds like it’s going to be really, really nice! 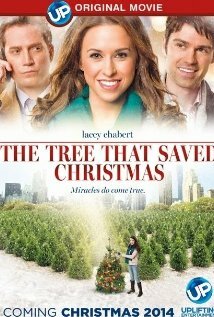 It stars Lacey Chabert and I love her! Can’t wait to see it.